Imagine having the world's biggest and best jackpots at your fingertips, wherever you go. Build on that thought – imagine having instant notifications every time you win, plus a whole host of great games and scratch cards to while away the hours. 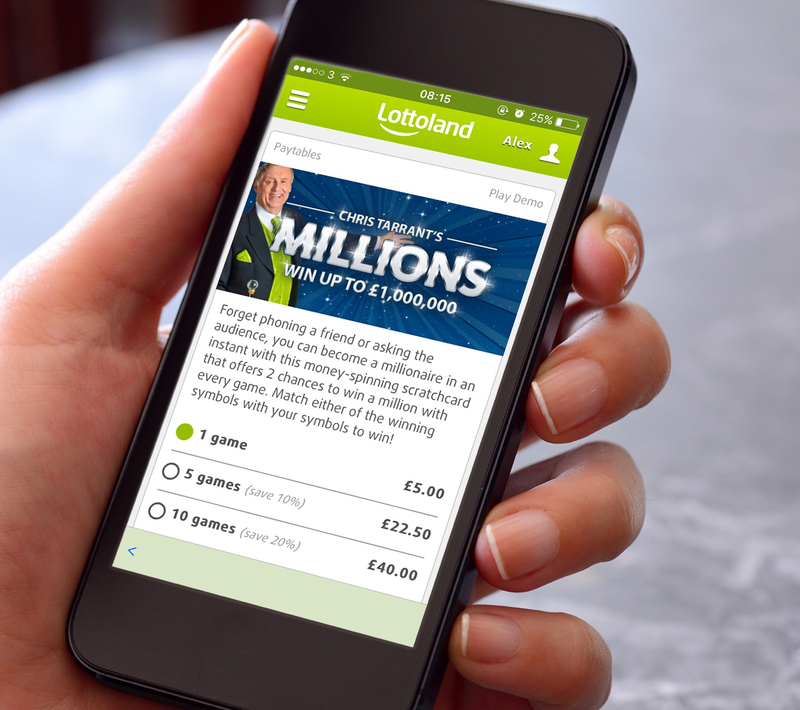 You've just imagined the Lottoland app, the best way to experience lottery betting anytime, any place and winner of the Best Lottery App at the 2016 Gaming App Awards in London. Check out our guide and unlock a world of choice. Welcome to the future! Android vs. Apple – push that age old debate to one side, we have both sides covered. Android users should head to our app page, tap the button marked "Free for Android", and proceed as usual. Otherwise get over to the Google Play Store where you will find our app. Apple users can simply head to the app store and type in "Lottoland app", or visit our app page and tap the button that says "Free in App Store". Installation done, let's take this app for a spin. Start your mobile-lotto experience by logging into your account. Simply click on the top right corner of the app and sign in with your usual username and password, just as you would via desktop. On the navigation menu, go to “My Account” to access your settings, check your history, transactions and winnings. What’s more, the app also allows you to deposit new credits into your player’s account or request a withdraw, whenever you want! With your account primed with freshly deposited funds, it's time to start betting. You'll be glad to hear our app boasts our full complement of lotto jackpots. Tap the menu button on the top left of the screen to reveal your betting options. Here you can head to the "More Jackpots" section to see the full list of lotteries. Our dynamic lottery menu will update all the time – showing you Special Jackpots and the best offers to make sure to keep checking regularly! Once on the lottery betting page you'll find all the usual options, and of course our amazing special features. You can pick your numbers manually, or select our QuickPick option, before deciding which draws you wish to enter, and how many weeks you want your lotto lines to run for. To purchase a QuickPick bet, tap the box saying "Add QuickPick" with the wand icon next to it. To select your own numbers, tap the pencil icon to the right. After your Betslip has been submitted you'll get a confirmation, and you're free to turn your attention to the rest of our amazing lottos. Not sure which jackpot is right for you? We've made choosing your next bet easier than ever. On the lotteries page you'll see the "Sort by:" drop down box, giving you a choice of three options. You can choose to list our lottos by Closing time, Jackpot or Name. If you want to bet on the biggest prizes, choose jackpot. If you're looking to win quickly, then closing time is your best bet. This will rank all of our jackpots by draw time, in descending order. Did you know, every year millions of pounds of lotto winnings go UNCLAIMED - because people either forget to check their numbers, or misplace their tickets! In fact, you may be one of those people who has inadvertently missed out on a big money prize. Have no fear, Lottoland is here with the solution. With instant notifications every time you win, our app will politely, but clearly, inform you when your numbers match any prize tiers. 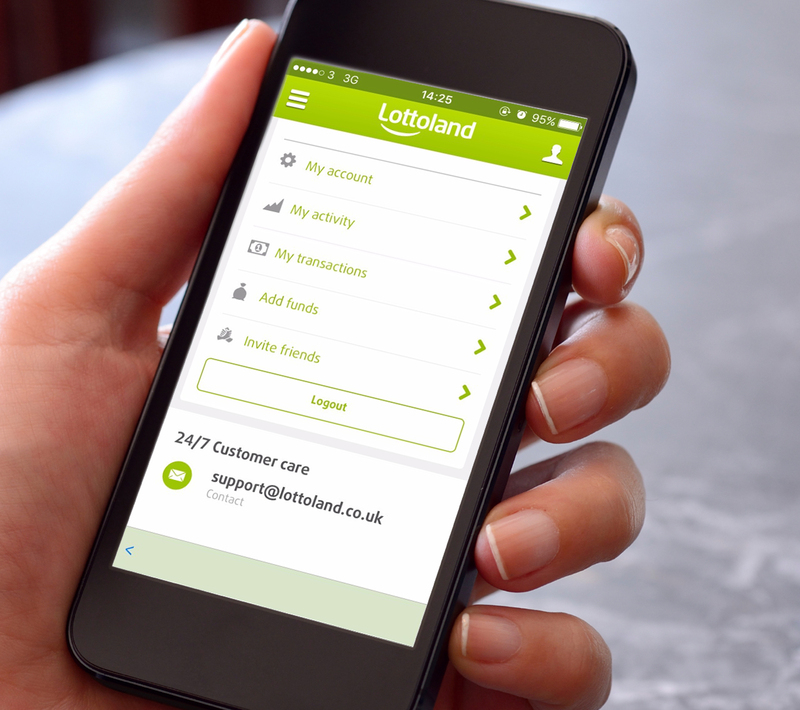 The Lottoland app – bidding goodbye to unclaimed winnings, and giving you the best lotto experience. Our app doesn't just boast a huge range of international lotteries, it also hosts a whole load of Instant Win Games, Scratchcards and Games. With 15 instant win games on offer (and more on the way!) you're never more than a few taps away from instant prizes. To play simply scroll down to the "Instant Win" section on the main menu, select a game of your choice, and start gaming! Under each game there are two options, one that says "Play now" and the other, on the left, that says "More info". Under this section you can see exactly how the game works, and even play a demo. Allowing you to get to grips with the game before you start investing your own cash. Lottery and scratchcards go together like cheese and pickle, or peanut butter and jelly if you happen to be American. That's why we have a whole host of them, with a great range of entry prices and prizes. Are you a high roller, looking to bank a million with a few e-scratches of our e-scratchcard? Then look no further than Chris Tarrant's Millions, which has a top prize of £1,000,000. There is also our Instant Millionaire game, which boasts a £1 million prize, and over £3 million in total to be given away. Want to play without breaking the bank? Our Fruity Flurry scratchcard is just 80p a go, with a grand prize of £50,000! Or try our 777 card, each game is 50p and you can bank up to, you guessed it, £7,777. All our scratchcards have the option of playing a demo first, so you can try before you buy. Tired of lottery? Sick of scratching? Then how about our amazing range of games, including casino favourites Blackjack and Roulette. Via the menu, navigate your way to the games section, then rifle your way through our selection of over 40 different options? Looking for something in particular? Tap the button that says "All" at the top of your screen and select from the drop down menu to customise your view (see above image). As with scratchcards and instant wins, there is a demo feature on every game, so you can get some practice in before you start playing for real. Fending off competition from a whole host of rival companies, including Camelot, Lottoland has once again proven itself to be an industry leader. 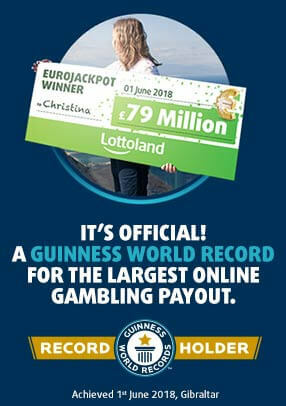 Since our launch in May 2013, Lottoland has gained over 6 million customers worldwide, and paid out millions in prizes. With our full array of amazing international lotteries, plus a whole host of extra games and scratchcards, our app gives you the full Lottoland experience, wherever you are. Head over to our app page to download and install today!